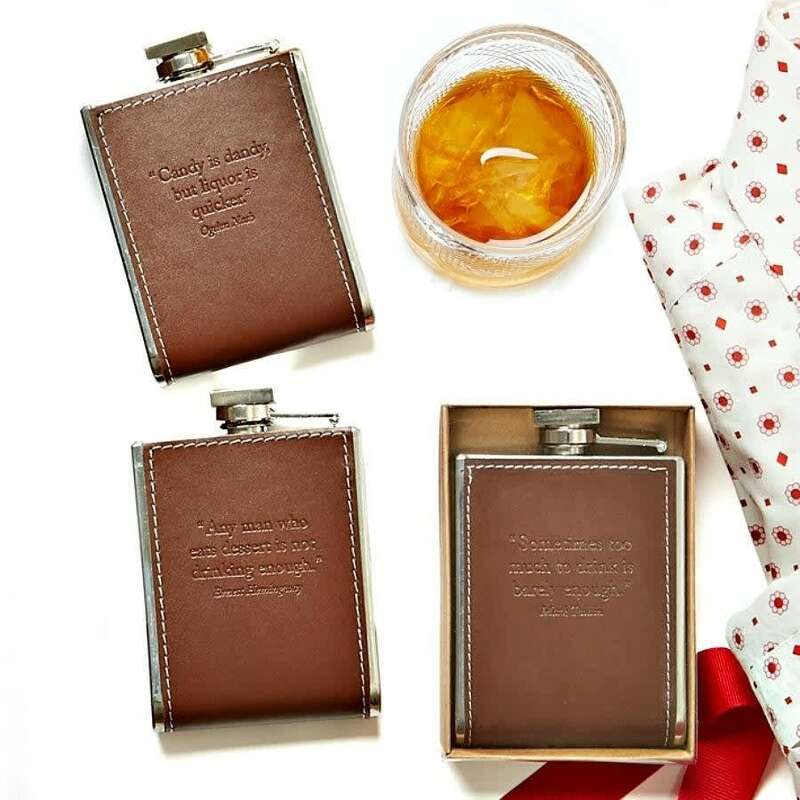 Show how great your Dad is with one of these great hip flasks on Father's Day. This quote embossed faux leather hip flask is great for those who like a tipple or two but are always on the go. The quote reads " Any man who eats dessert is not drinking enough"
Posh Totty Designs in Brighton, United Kingdom.